With the ending of the carnage in Sierra Leone and Liberia, I am so glad that the Lord enabled me to place the Kissi on the map through my first book, Idols with Tears, published by AuthorHouse/USA, and followed by The Ghosts of Ngaingah, my second book on the Kissi culture published by the Sierra Leone Writers’ Series (SLWS). Geographically, our three Kissi regions can be located along the banks of the Makona River, and also in the three Mano River Union countries. The countries are Sierra Leone, Guinea and Liberia. We, the Kissi, are ancient warriors, children of rivers, natives of mystical healing herbs, as well as people who fell in love with the cutlass and subsistence farming to survive on both the dry land as well as in the swamp. We can also boast of our cacao and coffee plantations, and our areas along this mighty Makona River; both are melting pots for trade, education, culture, human development, and great venues to cultivate peace, among huge economic prospects. With these in mind, the Kissi can agree with me that our unity has long been shaken by our weakness in trying to foster knowledge and innovation that could have helped to enrich us and to eradicate the sufferings of our people in the three countries. We have instead indulged in personal attacks and have disrespected the foundations of the human strategic planning of our old and complex cultural human systems, especially in the past organizations we have created, only to end in disunity, complete shambles, and decadence. It is time that we come together to end the tendentious diatribe and to find appropriate solutions to help our Kissi kinsmen in the Kissi Bendu-Makona region of Sierra Leone, Guinea, and Liberia. The vision of the MAKONA BOOK CLUB will be to reconcile our peaceful existence; to foster knowledge; to find innovative solutions to address the needs of the Kissi of the three countries; and to build a lasting bridge of friendship, love, compassion, and benevolence for all Kissi in the world. It will portray the Kissi as peaceful people, who love strangers, but to note that foreign encroachments on the Kissi by strange cultures have tried to erase some aspects of our values and have suffocated our unity in such as way that we are nearly facing anarchy and ethnic decadence. Even though we are in the 21st Century, we still don’t have good roads, electricity, or clinics and hospitals, and our poor Kissi kinsmen and kinswomen are dying of illnesses that could be cured today. My fellow Kissi men and Kissi women, brothers and sisters around the world, we have to start doing something to help our people before it is too late. This is a challenge for all our kinsmen who would like to see their works published, and the Kissi Bendu-Makona Book Club will help them realize their dreams. Since this is a newly created non-profit organization with its newspaper for the Kissi worldwide, we hope that our readers will continue to forward to our bi-monthly publications. We hope that a contribution of $5.00 per copy will not be too excessive for such a historic venture. All articles should be sent to founder Michael Fayia Kallon’s address or the email address located on the last page of this newsletter. The names of all future heads of the MBC will appear in the next pages. I hope that this newsletter will begin placing the Kissi in the annals of world history, on the map of globalization, and on the map of civilized nations of the world. We have long been forgotten, and only we, as great people, can strive to tell the world who we are in our stories. It is only the Kissi whose land is so rich and so exploited by foreigners and by their own governments. It is therefore time for us to help to build our Kissi-Bendu region. 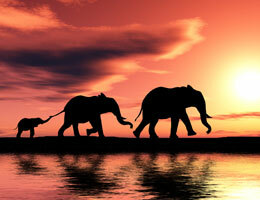 We are people of great strength only if we pull together. The efforts we will exert in this venture will be praised for many generations to come. We need to be able to return home to sit down in parks with our elderly, where they can tell us the stories of our great forebears, and the mighty and attractive tales of our traditions. Any Kissi man or woman reading our first newsletter should know that a new day has come. The founding of the MAKONA BOOK CLUB with its newspaper is the first step toward putting the Kissi in the news media, on the stage of globalization, and onto human development. Note that the Kissi are still living in the Stone Age with all the prestigious technologies that mankind can boast of today. Due to colonialism, the Kissi were far from their capital cities of Freetown in Sierra Leone, Conakry in Guinea, and Monrovia in Liberia, the three countries of the Mano River Union. The Kissi were denied the basic contemporary political, economic, and infrastructural developments of their respective countries. Many Kissi organizations have been formed all over the world; however, the MAKONA BOOK CLUB (MBC) shouldn’t be considered a threat to the viability and existence of them. If all roads lead to Rome, all Kissi organizations should strive towards building our once great Kissi Empire and to fight for the economic, political, and humane emancipation of the Kissi Bendu-Makona region in the 21st Century. This should be our challenge; not to fight or tear down each other. The Kissi were placed in the three countries where we have remained politically dormant over the years. Can we then say that the Kissi are among the endangered tribes in the world today? The answer should be yes, taking into consideration the denial of such United Nations organizations as UNHCR and UNICEF from providing us basic developments. The United Nations not only ignored us, but also never acknowledged our existence as a race in the past, in the present, and probably will not in the future. Yet, we are a productive, hard-working, and law-abiding citizens, farmers, reapers, mysterious hunters, and audacious warriors. The Kissi made ancient coins called the Kissi penny. They can name the days of the week in the Kissi dialect, and have another aspects so unique in their tradition that they are among the only ancient tribes that have a specific list to name their children with regard to rank in the family and to our norms. Therefore, the growth of MAKONA BOOK CLUB (MBC NEWS) will tell the world about the great news, information, and announcements about this project, our perspectives, and about the Kissi. We also hope that through MBC newspaper, globalization can increase their benefits and that the United Nations will know that the dwindling population can qualify the Kissi as endangered natives on Earth. Through this medium we the Kissi should unite to foster knowledge and to share innovative skills that could enrich and sustain the lives of the poor Kissi. Everyone should know by now that the Kissi are among the poorest tribes on Earth. The economies of the countries they came to embrace have never sought to end the mystery among the Kissi. They have engaged subsistence farming and trading in cash crops, like cocoa, coffee, and edibles like eggplants, plantains, and more, which they transport to the distant capital cities of Freetown, Conakry, and Monrovia. A vivid reminder of human misery is when these trucks travel the unpaved and muddy roads especially in the rainy season; many accidents and even deaths are reported when the trucks slide and fall into ditches. The SLPP government in Sierra Leone made it possible for the road between Kenema and Koindu to become reality, and we hope that the project will take shape soon during the APC regime in Sierra Leone. The Kissi are still using pit-latrines, they have no pipe-borne water supply; as a result they are constantly bitten by snakes and scorpions in their effort to get water from distant streams, and during the plowing season on their farms. As God so happened to see their misery, He gave the Kissi mysterious charms that can cure snakebites and sprains instantly. It is so unfortunate that many young Kissi women die in childbirth since there are no modernized clinics or hospitals in the Kissi areas. The MBC newspaper plans to correct the impeccable human suffering that the Kissi continue to endure and to inspire their lives for a better future during our time. We will strive to contact philanthropic organizations and encourage them to send representatives to the Kissi region to see how they might address many of these problems. and think you are smarter than others. Click links below to read stories. Represented by the Sierra Leone Roads Authority (SLRA), the government on Thursday 30 July 2009 signed a work contract with a Korean engineering firm, ISU, for the construction of the Kenema-Pendembu sector of the Koindu road project. The long-awaited project is being funded by the Islamic Development Bank, the Arab Development Bank, the Kuwaiti Fund, OPEC, Saudi Fund, BADIA and the government of Sierra Leone. members of Parliament, council chairman, and councilors as vital to the event. With the political will to connect all districts in Sierra Leone through durable road links, President Koroma vowed that his administration will further address major road network problems, by making trunk roads and he plans to link all feeder roads. To facilitate that, he pledged to serve as one of the key supervisors of construction works. He referred to the socio-economic importance of the road as a sing song in Sierra Leone and recalled that he made a commitment during his presidential campaign to both the people of Kailahun and Kenema that his government is one set for development. With the completion of the road, he said, Kailahun will be connected to the whole country. He cautioned that if anything goes on wrong with materials and the contract, heads will roll. As the number one supervisor of construction works on the road, President Koroma called of MPs and councilors of the district to help monitor all contractors work as well as the quality of the work itself adding that the total cost of the road is $110m. He said the government needs $6.3m for continuity of works on the roads. He reassured the people of Kailahun that the road will be completed. The Resident Minister, Eastern Province, Hon. William Juana Smith, observed that the district has a great potential for economic growth but poor road networks were one of the major challenges affecting the in Kailahun District. Mr. Smith said he was convinced that when the road is completed, it will improve the living standard of the Kailahun people. He further indicated that President Koroma had come to fulfill the mandate of the founding fathers of the All Peoples Congress and reiterated that the entire country will soon enjoy economic growth when the road shall have been done. The Director General of SLRA, Munda Rogers, paid special tribute to President Koroma, saying that the president always makes himself available to people. He added that with his competence of leadership there is hope of moving Sierra Leone forward. The Director went on to say that the road is going to be 1.67 kilometers and will be divided into two phases, while the 1.86 kilometers is the Koindu stretch. The width of both roads will be ten meters. The speed limit, Mr. Rogers warned, will be 80 km per hour, pointing out that the project is funded by government in partnership with six developmental donors. In his opening remarks, Works, Housing and Infrastructure Minister Alimamy Koroma said the road will link Liberia and Guinea, which, he maintained, showed the commitment of the government to improve the infrastructure between Sierra Leone and neighboring countries. He noted that President Koroma had the interest of the Kailahun people at heart. THE WAR FOR YENGA HAS BEGUN! Your Excellency, although I applaud the United Nations for halting ethnic wars in Africa, I must bring to your attention some fresh intentions of war and ethnic disunity, as African dictators have proven to be the bane of African development. They have ruined our African way of life with unnecessary wars, causing human misery and destruction of the African continent. In 1998 the late Guinean president, Lansanah Conteh, sent a mechanized army of Guinean soldiers to occupy Yenga, a village in Sierra Leone. The carnage in Sierra Leone and Liberia had ended, but the Guinean soldiers stayed behind in Sierra Leone with their heavy tanks and other military equipment. They met the poor and unarmed Kissi in the area, beat them, even killed many, and then went inland to occupy more villages in the Kissi chiefdom. Their bid to take over the villages there was short-lived, because the chiefs stood up to them and drove them out of those villages. However, they still occupy the Kissi village of Yenga to this day. Your Excellency, the village of Yenga belongs to Sierra Leone. No one can dispute that fact. In 1912, a treaty between Britain and France¾the former colonial masters¾ demarcated the border between Sierra Leone and Guinea. Also, at a conference in Dakar on September 7, 2004, Guinea agreed to return the disputed border village of Yenga to Sierra Leone, according to a joint communiqué signed by President Tejan Kabba of Sierra Leone and the late President Lansanah Conteh of Guinea. Although the civil war ended in Sierra Leone in January 2002, the Guinean troops who went to Sierra Leone to support the Sierra Leone government forces against the Revolutionary United Front (RUF) rebel movement still remain in Yenga. Your Excellency, the world has seen the brutality of the Guinean government against its own people. After gaining independence from France in 1958, the government of the late Guinean President Sekou Toure gave orders to shoot and kill anyone fishing or canoeing on the Makona River. This river forms the natural boundary between Sierra Leone and Guinea in the northeast, and the area lies at the center of the Mano River Union countries: Guinea, Liberia, and Sierra Leone. The indigenous people of the area are the Kissi, who live on the banks of Nongoa in Guinea, Yenga in Sierra Leone, and Foya in Liberia. The Guinean government from the 1950s to the early part of 1970s has killed nearly 10 Kissi fishermen on the Makona River; as the Guinean mistakenly took them to be coffee and cacao smugglers or Guinean farmers who surreptitiously crossed the Makona River at night to sell their products in Sierra Leone. There, they could gain greater profits, as the Guinean currency was devaluated. Also, Sekou Toure’s government was at loggerheads with the French government and with any country that encouraged the neo-colonialism that President Toure preached feverishly against in his regime. Your Excellency, the brutality of Guinean regimes also drove hundreds of Guineans of all origins across the Makona River, and the Kissi accepted and lodged them in towns like the international market town of Koindu, in Toli chiefdom, and as far as the distant Kissi chiefdoms of Kissi Kama and Kissi Tongi. Yet, the past Guinean regimes have used the peaceful Kissi people as the bait of genocide and for target practice as they continue to stay in Yenga. We, the Kissi, will support our government in Sierra Leone to use every ounce of authority, through diplomatic means or military force, to recapture Yenga from Guinean terrorists who have terrorized our poor Kissi kinsmen and abused the territorial structures of our sovereign nation, Sierra Leone. Your Excellency, during the Guinean presidency of the late Lansanah Conteh, rebels attacked Forecariah, which lies less than 100 km from the capital city of Conakry, and where tens of thousands of refugees from Sierra Leone and Liberia were stationed. In early September 2000, Conteh broadcast an inflammatory statement on state radio and television blaming the rebel incursions on refugees. This provoked widespread attacks by Guinean police, soldiers, and civilian militias on the already traumatized refugees throughout the Republic of Guinea. Refugees from Sierra Leone and Liberia were raped constantly and beaten mercilessly; no one reported these incidents. Many refugees were killed across Guinea at that time, and among them were the Kissi. Your Excellency, the Guinean contingent at Yenga should be considered terrorists, and an invasion of Sierra Leone should be considered a volatile issue. I am requesting that the Security Council look into this issue as soon as possible, or else reclaiming Yenga by our military force cannot be ruled out. The Kissi in the area have lived in fear for their lives, since the Guinean soldiers have been subjecting them to unnecessary and constant victimization. No schools have functioned, and villagers have been stopped from laying their farms since 1998, because the Guinean troops have claimed beleaguered Yenga to be part of Guinea. I do not see any point of further negotiations on this matter, since Yenga is in Sierra Leone. How can any army from a neighboring country cross a river and usurp the soil of another country? Your Excellency, I urge the United Nations Security Council to give this matter its most urgent attention. Tempers are flaring for the positive eviction of a brutal Guinean army on the soil of our sovereign nation, Sierra Leone, and for the Guinean terrorists to stop brutalizing our unarmed and poor Kissi kinsmen and kinswomen in the Yenga area. DAKAR, 7 Sep 2004 (IRIN) - Guinea has agreed to hand back to Sierra Leone the disputed border village of Yenga, according to joint communiqué signed by the presidents of the two countries. Guinea had occupied Yenga, situated in Kailahun district near the point where the borders of Sierra Leone, Guinea and Liberia meet, since 1998. Guinean troops moved into the village to support Sierra Leone government forces in their civil war against the Revolutionary United Front (RUF) rebel movement and then remained there. "The village of Yenga belongs to Sierra Leone," they said in a joint communiqué, citing a 1912 treaty between Britain and France, the former colonial powers, demarcating the border between the two countries. The communiqué, which was only published on Monday, said Conte had given his Sierra Leonean counterpart an assurance "that there will never be any conflicts between the republics of Sierra Leone and Guinea." It denied rumors that Sierra Leone had sold Yenga to Guinea. The two heads of state, who met on the sidelines of a summit of the West African Monetary Zone, agreed to send their interior ministers to visit Yenga on 6 September to reassure the local population and clear up any misunderstandings. The ministers were also mandated to make joint arrangements for the deployment of security personnel "in order to prevent any mischief." The border dispute came to prominence last month when Sierra Leone's Security Minister, George Banda Thomas, visited Conakry to discuss the issue with Guinea's Interior Minister Kiridi Bangoura following complaints by residents in Yenga that they were being harassed by the Guinean authorities. Yenga is situated in a sensitive zone close to diamond mining areas in Sierra Leone, Guinea and Liberia. Armed insurgents fighting the governments of all three countries have been active in the area in recent years. A necessary – and mutually applauded – security measure taken by Guinean forces during Sierra Leone’s brutal rebel war has, since the war ended, escalated into a border dispute which threatens the stability of both states. But while the issue – the Yenga dispute – is often cast in romantic and highly inflammatory terms by Sierra Leonean poets, so-called civil society activists, and journalists, the entire story is steeped in bathos. Before the war, Yenga was a tiny impoverished fishing village of fewer than 100 people and ten antique shacks. But it is strategically placed among a system (albeit largely undeveloped) of inter-connected waterways, tied to the large Moa River, and formed by the converging of three other rivers emanating from Guinea, the Mellacourie, Fourecaria, and Bereira. Much of this area, extending far into northern Sierra Leone, was once known collectively as Mellacourie. Until its recent notoriety, hardly anyone emerging into Yenga from the humungous grassed and potholed road would take any particular notice: the more important places were Kailahun, Koindu, Bomaru and Sienga on the Sierra Leonean side, and Guekecdou and Forecariah on the Guinean side. It was a sleepy fishing hamlet, separated from Guinea by the Moa River, but this cartographic factor was purely fictive for the people living on both sides of the river: movement from Sierra Leone into Guinea and vice versa was unrestrained by border guards, and people on each side of the river maintained families on both sides. Believe it or not, this was exactly the vision of the colonial powers, Britain and France, when they demarcated the area between the two competing empires, the new political and geographical reality expressed only in the two dozen or so beacons planted by the Europeans, over them flying two flags, at the close of the 19th Century. They rudely separated the Kissi people – separated even families – living in the area, forcing them into states they never bargained for. The border demarcation wasn’t exactly as perfunctory as the carving out of Uganda – given as a birthday gift to Britain’s Queen Victoria by an English adventurer marauding through East Africa – but the logic was the same: there was scant consideration for the Africans living in these places, and of course no concern about the future viability of the hastily created states. So why do people in the poverty stricken and militarily disabled Sierra Leone and Guinea, just recently emerged from brutal wars (with Guinea still crippled by political instability), speak about this strip of land as though they want to ignite another violent conflict in the region? There is obviously need for a serious reality check. I recently spent a grim afternoon with a very senior Sierra Leonean army officer who told me rather blithely, and against all available evidence, that all the Sierra Leonean military needed was the order from “the civilians,” and Yenga would be recaptured from the Guineans promptly. And as I write, there is a virtual movement in Sierra Leone quaintly named ‘Save Yenga Save Salone,’ a campaign that has attracted media activists, poets, ‘civil society’ and some politicians. One such politician, Musa Tamba Sam, belonging to the opposition Sierra Leone Peoples Party (SLPP), recently tried to get Yenga debated in Parliament, but the effort was wisely rebuffed by the Speaker. The issue, the Speaker said, was being handled diplomatically by the government – and as well it is. Honorable Sam is from Yenga, born at a time when the village was still part of the Kissi-Teng Chiefdom in Kailuhun District in the Eastern Province of Sierra Leone. The (uncharacteristic) restraint of the Ernest Koroma government on the Yenga issue, which mirrors that of the previous Kabbah’s, is admirable: if every serious national issue since Koroma came to power has been approached the same way – calmly and deliberately – then a lot of the serious errors of judgment, the churlish sacking of civil officials believed to be supporters of the opposition, attacks on opposition infrastructure, and other acts of venality and peevishness, that his government has committed would have been avoided. The Yenga issue is, as hinted above, the legacy of two searing historical factors: European colonialism and a brutal postcolonial civil war. Surprisingly both now carry equal resonance – but for all the right reasons, the emphasis should be on the more recent past. For Guinea entered Yenga not as an enemy but as a friend in pursuit of a common enemy, a “rebel” force of medieval barbarity. Guinea, in fact, has been a very good neighbour of Sierra Leone, on countless occasions coming to the aid of the desperately inept Sierra Leone army and to take in tens of thousands of Sierra Leoneans fleeing the depredations of the rebels, as refugees. I will return to this point, but first to the colonial provenance. Ian Brownlie’s African Boundaries: A Legal and Diplomatic Encyclopedia, published by Hurst (London) for the Royal Institute of International Affairs in 1979, 1355 pages long, is the invaluable guide to the historical basis of African borders; I picked up a copy at Hurst’s offices in London recently. The book reproduces a number of documents, including agreements and letters and memoranda, from British and French officials which formed the basis of the Sierra Leone-Guinea border. The first was the Anglo-French Convention of 28 June 1882 (preceding the Berlin Conference, which officially partitioned the African continent among the Europeans, by two years): the British recognized French claims to Mellacourie (with which, as I noted earlier, Yenga would have formed a part), which now meant French control of the entire Futa Jallon region – the basis of their colony of Guinea. Article 11 of the Convention stated that the “Island of Yelboyah, and all islands claimed or possessed by Great Britain on the West Coast of Africa lying to the south…as far as the southern limit of the…colony of Sierra Leone,” shall from henceforth be recognized by France as belonging to Great Britain, and the “Matacong, and all islands claimed or possessed by France on the West Coast of Africa to the north…as far as Rio Nunez,” shall be recognized by Great Britain as belonging to France. Grey had also proposed, and this was accepted, that where “a river forms the boundary, the populations on both banks shall have equal rights of fishing.” And there’s the rub. What if something more valuable than fish, oil or diamonds say, are found in the river – how would this agreement work? The agreement simply said that the use of “hydraulic power” in the river would only be authorized by agreement between the two states. And of course using a river as a boundary is problematic, since rivers can dry up (there is the greenhouse effect, which no one knew about then), and damming can change the course of any river. I recently visited the area. The lush rainforest on the Sierra Leonean side that so impressed Greene has been largely denuded – by unrestrained logging activity, generally no husbandry etc – and one now sees the same humungous or elephant grass that Greene saw on the Guinean side harassing the tiny motor road leading to Yenga. Guinean troops are now firmly in control, and recently forced a Sierra Leone political contingent to disarm its security before entering the place. A bad sign, but in fact it was not always like that. The problem began in September 2000 when the RUF attacked a number of Guinean border towns south of the capital, Conakry. The area had become home to tens of thousands of Sierra Leonean refugees, fleeing attacks on civilians inside Sierra Leone, part of the RUF’s ten year campaign of terror and destruction in that country. Not long afterwards, the RUF attacked Guinean towns and villages in the ‘Parrot’s Beak’ area of the country, emerging from Sierra Leone and from points along the Liberian border. Here they caused much greater destruction and dislocation, driving Guineans out of their homes along with as many as 75,000 Sierra Leonean refugees who had been living on the Guinean side of the border for several years. The RUF attacks attracted little attention, except as a humanitarian footnote to the more notorious conflict in Sierra Leone. I spent two weeks in Guinea at the time researching a report for Partnership Africa Canada, and I reported then that Guineans themselves appeared to be confused. Following rebel attacks on Forecariah, less than 100 km from the capital Conakry and home to tens of thousands of refugees from Sierra Leone and Liberia, in early September 2000, Guinean President Lansana Conté broadcast an inflammatory statement on state radio and television. He blamed the incursions on the refugees, provoking widespread attacks by Guinean police, soldiers and civilian militias on the already traumatized refugees. The attacks on Forecariah, by RUF rebels operating from Kabala, a Sierra Leonean town close to the Guinean border, were diversionary, and the rebels withdrew without much resistance after Guinean forces counter-attacked. Better planned and more coordinated incursions were soon to follow, however. In January 2001 the RUF moved from Sierra Leone, along with Liberian forces, into the diamond-rich areas around Macenta (in the so-called Forest Region), Madina Oula (near Kindia) and the important trading city of Guéckedou, which, like Forecariah, was home to tens of thousands of refugees. The attacks on Macenta and the destruction of Guéckedou alerted Guineans to the seriousness of the crisis. The attacks quickly spread, threatening to engulf the districts around Bonankoro. Then finally Guinea responded proportionately. With crucial help from the United States (which maintained an annual C-JET training program with the Guinean army) and France, Guinea acquired some armored helicopters and some old MiG fighter bombers which were used to pound rebel bases in both Sierra Leone and Liberia. Guinea also helped to train over 1,000 Donsos (the Kono name for Kamajors or Civil Defence Forces), made up of Konos and Kissis from the Yenga area and Kono District, all about the Guinea-Sierra Leone border, deploying them against the RUF. I saw about a thousand of them during my visit, and also saw British officers, who had an open-ended military commitment to Sierra Leone, helping to train the Guineans and the Donsu militia. Guinea routed the RUF, helping to accelerate the disarmament process in Sierra Leone: in effect, Guinea defeated the RUF. It then occupied the Sierra Leonean side of the border, including Yenga. After the war ended, Kabbah negotiated the withdrawal of most of the Guinean forces, but renegade officers, now engaged in lucrative mining at Yenga, refused to move, and the ailing Guinean leader was simply a hostage of the military. An agreement was signed on 15 November 2002, months after the war officially ended, by Sierra Leone’s internal affairs minister, the late Hinga Norman, and his Guinean counterpart, El-Haj Moussa Solano, affirming the colonial era border agreement, But the agreement was not conclusive; it called for the setting up of a committee to work towards a resolution that would restore Yenga to Sierra Leone but assure Guinean border security – a very legitimate issue obviously. But the talks have become open-ended, and there is no assurance that Yenga will be restored to Sierra Leone soon, or perhaps ever at the current pace. Personally I see little problem with the Guinean presence at Yenga, but clearly it is a volatile issue, what with the attempt to politicize it. But all loose talk about reclaiming the village by force should be discouraged. Inflammatory steps by some NGOs, like World Vision’s (a notoriously vulgar group which is in the habit of showing poor and sick black and brown kids on TV to raise money), which a couple of years ago claimed that it was prevented from building a school at Yenga by Guinean troops, should be firmly suppressed. Many of the impoverished villages on both sides of the border do not have functioning schools, so why pick on beleaguered Yenga? The flamboyant Sierra Leonean Defence Minister Paolo Conteh has been quoted as saying that there is no point in negotiating with the Guinea junta since it has not been recognized by both Ecowas and the African Union (AU). He has a point, though it is utterly impolitic of him to have gone public with such a statement: street corner talk has its place; but it should not be allowed in the Defence Ministry or State House. While President Koroma can make his votaries and supporters feel good by declaring that Sierra Leone and Guinea are sister countries who are working together to resolve the Yenga issue without resort to international mediating bodies, the overheated rhetoric elsewhere is not reassuring. I think it is time that Ecowas takes tentative steps to engage both nations on the issue. There is a clear early warning signal here. Editor’s note: Lansana Gberie (photo) is a Sierra Leonean journalist and author. He studied History at universities in Sierra Leone and Canada and now works for an international organization in Liberia. The bitter memories of the decade-long rebel war in Sierra Leone still linger in the minds of some of the inhabitants of Kailahun district with the sight of several physical and structural destructions that always make those war-withered people reflect and recollect their ordeals in tears. In Kailahun, basic amenities like pipe-borne water, toilets and health facilities are extremely lacking, while deplorable roads, poor market structures, inadequate institutions of higher learning and internal political conflicts among chiefs have been largely blamed for the underdevelopment of the district. Legacies of the war are still visible in all major towns and villages within Kailahun District. Past and present governments and their development partners in the area have failed to improve the living standard of the people, despite the many corrugated sign boards of projects scattered along the way. Widow Mariama Tengbeh (37) of Bobenge Town, now a subsistence farmer with 6 children, almost broke down in tears while explaining the appalling human conditions they are living in Kailahun. Water is a precious commodity at Bobenge Town. “My children spend hours to fetch water alone coupled with domestic work. Among the six children, only one is going to school; the reason is that there is no school in our village and I cannot afford to send them to Moa or Kailahun,” she said. “Is education in Kailahun a right or a privilege? I would like to ask the government and NGO’s if we are not Sierra Leoneans who deserve the same treatment as others because we have been neglected and marginalized for far too long,” she queried. She said the Kailahun District and its fourteen chiefdoms are in desperate need of assistance in the areas of social facilities in predominantly remote areas where water wells and toilet facilities are scarce, thereby causing undue suffering of the people. Major towns and villages like Segbwema, Daru and Pendembu are completely underdeveloped; the roads are terrible; and the people are living in abject poverty. “Residents do not see Freetown as their capital because normal business transactions are either done in Guinea or Liberia,” a trader in Kailahun explained. Tree crop farming in cacao and coffee is the only source of livelihood for the people, and it has not yielded much to improve the living standards of the people, leaving them poorer. On a daily basis the gap between the rich and poor is even wider. The war had however led to the social and economic disintegration. Social community structures had fallen apart and community cohesion is still lacking in the Kailahun people. The years of violence have introduced a culture of disrespectful and aggressive interaction between people resulting in serious confrontations and a growing political divide among local authorities. Rebuilding a peaceful community in which members support each other and engage in collective activities proved a challenge in post-war Sierra Leone, particularly the Kailahun District. Under these circumstances he said the rights and needs of children and youth were not considered as a priority and received little attention. He also said that the relocation of the Bunumbu Teachers College to Kenema has had negative impact on Kailahun, because most of the graduates are not willing to come back to Kailahun to contribute their own quota towards the development of the area. Sources in Kailahun also disclosed that unprogressive internal conflict between opposing ruling families has had negative impact on the ordinary people citing the shunned NaCSA constructed multipurpose market structure for utilization by marketers and residents to boost economic growth. According to investigations the market worth millions of Leones were provided by both government and development partners during the past SLPP Government. The failure of direct beneficiary participation in the project has resulted in exceptional views that have derailed the entire project objectives. Children and youths also witnessed their homes being looted and burned down, and they fled to safer areas where they waited for the war to end; some of them are yet to return home, Alieu Sellu a social worker in Kailahun explained. He also said that Sierra Leone’s recent history puts Kailahun children and youths in a very precarious situation due to the past war and endemic poverty as some of them are being used as Laborers in cocoa and coffee farms while others are engaged in the commercialization of motor bikes as a source of livelihood. Save the Children UK is also working in Kailahun to protect the welfare of children by ensuring that kids are sent to school and also provided with access to health care delivery in collaboration with development partners and Community Based Organizations within the District. Save the children Education Program Coordinator April Coetzee said there are still prospects for Kailahun kids because they are determined and committed to transform themselves to become useful citizens that can contribute to national development. OXFAM a British non governmental organization operating in Kailahun has promised to construct over three hundred water wells for a period of five years, however, it is sad to note that only twenty wells have been constructed in the district as disclosed by the deputy chairman of the council. The United Nations World Food Program (WFP) on the other hand is helping to reconstruct feeder roads by supporting farming communities with food for work whilst the Agriculture Ministry is supplying farming inputs to farmers, pests and other animals are also destroying farms at an alarming rate. The demand for basic social facilities in Kailahun has increased and most of the NGO’s and the Council Authorities do not seem to have the capability to address them, due to inadequate donor fund and Government grants to the council. The slow pace at which MDA’s are devolving their functions to the council has also compounded the situation because local revenues are forthcoming to the council, the deputy Chairman of the Kailahun District explained. The private sector is also moving in a snail pace in Kailahun as the First International Bank has just established a branch while the Billion Leone council building is almost under completion and ready for handing over. Tamba James, (25) who lives in the eastern town of Kailahun, the main heartland of cocoa and coffee, in the country says, he and his three siblings lost both their mother and father during the war. They have no one to turn to for their livelihood. “I have to go to the farms and work for people because that is the only place I can raise money to feed myself and two brothers,” James says. He sets off at 6 a.m. and works till 6 p.m., with intermittent breaks. He admits food is meager and poor and that they have no access to medical facilities, there are no toilet and water well facilities in the village he said. According to Tamba most farmers are sponsored by Lebanese in Kenema who typically give them just enough to buy sneakers and clothes and have some little amount left over to take home for food, as very few farmers can afford to send kids to school or live a decent life. “Look at the scars on my hands and the pale face of my siblings; they are malnourished,” he burst in to tears emotionally bending down his face and wiping his tears. “This is an awful life in Kailahun district,” he lamented. The life of James is similar to many Kailahun residents our reporters interviewed; however stakeholders on the other hand are making frantic efforts to improve the living standards of the people. Kailahun residents only hope that both government and NGO’s will address the circumstances that have befallen the once productive district in Sierra Leone to become a hub for economic growth as it borders both Guinea and Liberia. Tamba Borbor, a teacher of the Roman Catholic Primary School in Dia town, in the Kissi Kama Chiefdom, Kailahun District who did not receive his salary for two years, allegedly committed suicide by hanging himself. His body was found dangling from the branch of a tree at a cocoa plantation by a number of men on their way to work at a nearby swamp. Villagers said he wrapped the sleeve of his shirt around his neck and tied it unto a tree not far from the village. Sources stated that Tamba Borbor was going through very hard times as authorities had allegedly tricked him by telling him that his name was not on the payment voucher but at the Boejema Primary School near the Guinea border. He is said to have taken a loan from people in the village to fund his trip to the school only to learn that his name was not on their payroll. He returned to Kailahun District on Thursday last week and expressed frustration and disappointment. He also blamed the Catholic Mission school authorities for failing to give him the necessary support to recover his money which was allegedly being enjoyed by some other people. A number of people in the village, including the town chief, have reported the matter to the Koindu police station. The town chief, head teacher of the school, and the youth leader are under police custody helping them with investigation. The corpse has since been buried. Composed by Queseo (Singer) Sia Ngeleh Foryoh, a renowned shaker player among the Kissi in those days. She was also the author’s maternal grandmother and lived in Yilandu and later in Koindu. Her parents originated from Denekendu, a village found in the Republic of Guinea, West Africa. This song follows the rhythms of modern disco-style music. Even today, it’s still loved and sung by the Kissi, during the Bondo exhibition days. Sahr Kollie, the last male child (Last Sahr). DO YOU HAVE WORK TO BE PUT TOGETHER FOR PUBLICATION? The Honorable Joseph N. Boakai is a purpose-driven and focused patriotic individual who believes in putting the country first above all else. He is a quiet individual who is passionately devoted to his country and its rules of law. His profile as a policy champion and advocate for the development of the agricultural sector has been built up over a lifetime of hard work and devotion to duty. “I was born into the struggle and know what it means to serve humanity in whatever way God leads me,” he says. He was born in the remote village of Worsonga in the Foya District, Lofa County, on November 30, 1944. He rose from humble beginnings to attain enviable positions in government and the private sectors. The vice president has served with dedication and distinction his country for more than 37 years. During these years his activities have centered on positions in government, marketing, and agricultural project management, civic self-help services, and private business, as well as in the educational sector. He has served Liberia in the capacity of vice president with President Ellen Johnson Sirleaf since their election three years ago, putting Africa’s oldest republic on a steady course for economic rebound, infrastructural development, and peace and political stability. The vice president, pursuant to Article 58 of the Liberian Constitution, assists the president of the Republic of Liberia in running the day-to-day affairs of the country. In line with this constitutional mandate and with the acquiescence of the president, Vice President Joseph Boakai provides key oversight and advice to several agencies and governmental entities, including the Liberia Agency for Community Empowerment (LACE), Liberia Marketing Association (LMA), the Liberia National Lotteries (LNL), National Commission on Disarmament, Demobilization and Reintegration (NCDDRR), the Monrovia Transit Authority (MTA), certain key programs in the Ministry of Agriculture (MOA) and the National AIDS Control Program (NACP). His guidance and supervision provided to these institutions have further strengthened their institutional and deliverable capacities. As the vice president, Hon. Boakai engages in a series of activities, ranging from representing the president at several national, regional and international conferences and seminars; visiting the leeward counties to acquaint himself with problems confronting the rural population; and helping articulate government’s policies and plans. He holds talks with local and international non-governmental organizations, individuals, and business institutions that are interested in exploring the investment climate in Liberia as a way of buttressing the president’s efforts in the nation’s re-building process. He is president of the Liberian Senate and accordingly presides weekly over plenary sessions of that body. Hon. 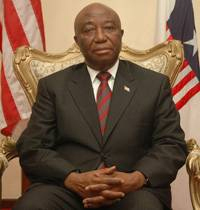 Boakai has served his country as chief executive officer and the first Liberian resident manager of the Liberia Produce Marketing Corporation (LPMC) from 1973-1980; managing director of the Liberia Produce Marketing Corporation (LPMC) from 1980-1982; managing director of the Liberia Petroleum Refinery Company (LPRC) in 1992; and minister of agriculture from 1983-1985. As resident manager of the LPMC, he was responsible for export marketing of coffee, cocoa and palm kernel oil and also responsible for arranging purchase, shipment and handling of the PL-480 program from 1980-1984. Serving as minister of agriculture, Hon. Joseph Boakai, among his duties and responsibilities, was responsible for national agricultural policy formation, Implementation Support and Research, and Regulatory Services. He monitored activities and chaired many boards of over 20 agricultural development projects, the Agricultural Cooperative Development Bank, and support institutions. He also chaired for one year a 15-nation West African Rice Development Association (WARDA) and toured research projects of WARDA in Sierra Leone, Ivory Coast and Guinea Bissau. He also toured several agricultural projects in Denmark, Belgium, Great Britain, Malaysia and Ivory Coast in connection with poultry, cattle grazing, rubber and oil palm production and processing and assisted in the first PL-480 program evaluations for Liberia. The vice president’s unbridled passion for agriculture is buttresses his strong desire to see Liberia become self-sufficient in food production. “Of all the programs out there, agriculture has the most potential to make the greatest impact on the lives of our people,” the vice president is often quoted as saying. In the civic and self-help sector, as part of his philanthropic support to humanity, Hon. Boakai supervised and personally financed up to 75% of a seven-mile rural village road construction to Warsonga, Liberia. He worked with the Federation of Liberian Youth (FLY) and the Danish Youth to construct a school for 150 students and clinic for a community of 10 villages. He influenced the establishment of the OIC project in Foya Kama, Liberia, and organized & headed fund raising for rural electrification of Foya Kama in Lofa County, Northern Liberia. As a result of his vast knowledge in the social sciences, the honorable vice president offered short-term consultancy to a number of institutions, including serving as chief technical advisor on agriculture policy at the Ministry of Agriculture. He reviewed and evaluated the Liberian 1986 proposed Green Revolution and F.A.O. World Bank 1986 Agricultural Sector Review Document and evaluated AMSCO, an Amsterdam funded training program for projects in Uganda in 1994 and Tanzania in 1996. Hon. Boakai has served as member and chairman of many boards, including the Liberia Finance and Trust Corporation; Star Radio; LOIC; Liberia Baptist Theological Seminary; Bethesda Christian Mission; Monrovia College Advisory Board; Monrovia YMCA; LUSU Resource Corporation; and the Rotary Club of Monrovia. Hon. Boakai helped to found the African Episcopal University and the United Methodist University. A graduate of the University of Liberia where he read Business Administration, Vice President Boakai has also completed studies in Grain Storage and Marketing from Kansas State University and received an Advanced Management Certificate (GIMPA) from Ghana. He is fluent in Mendi and Kissi. The vice president has been happily married to Mrs. Katumu Yatta Boakai since July 29, 1972. The union is blessed with four children.